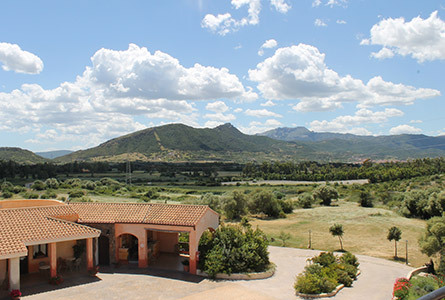 Set deep in lush countryside in the locality of Predarva, Maria Caderina Green Village is located in the fascinating province of Nuoro in Sardinia. 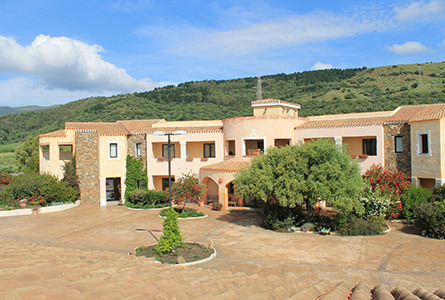 The Village enjoys a privileged location just 3 km from the charming town of Posada and from the wide pristine beaches of this corner of the eastern coast of Sardinia that runs for about 20 km from the Golf of Posada towards the tip of Orvile in Santa Lucia di Siniscola. 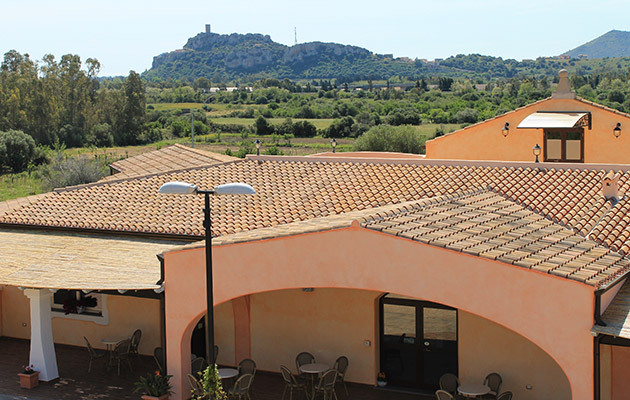 The most convenient access points are through Olbia port (55 km) or airport (52 km). 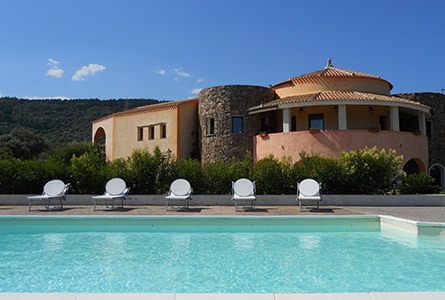 Opened in 2009, open all year round, and perfectly in harmony with the surrounding area, the 4-star hotel Maria Caderina Green Village is an integral part of an historic farm and cattle rearing holding. 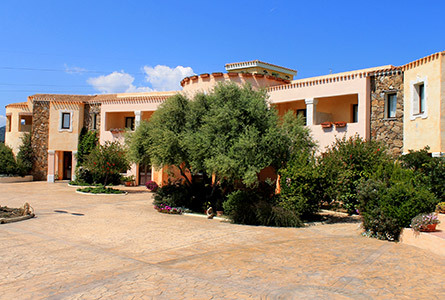 Built over two floors, the hotel has 18 rooms, a restaurant-bar and a gym. 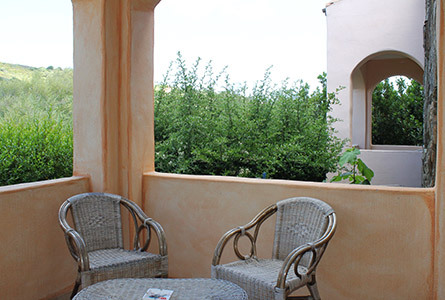 The pool, a synthetic five-a-side football pitch and a stunning panoramic terrace used as a sun deck can be found in the large garden. 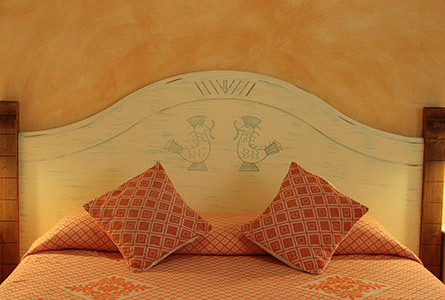 Twin and double rooms, some with the option of adding a 3rd bed. 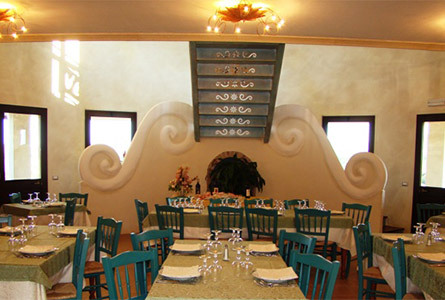 Located on the upper floor. 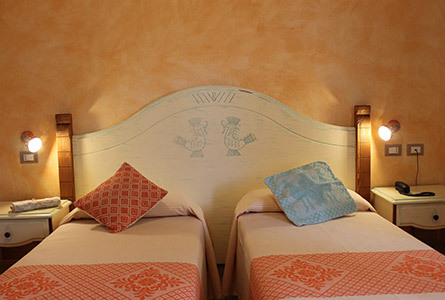 Family room – located on the ground floor, family rooms are made up of two connecting rooms with a shared bathroom, maximum occupancy 5 people. 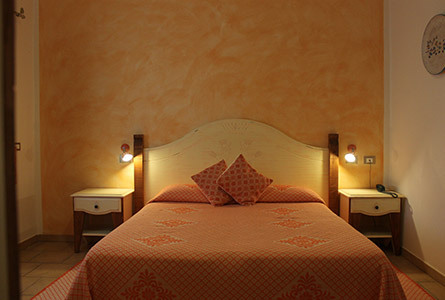 Two of the rooms at Maria Caderina Green Village are equipped for disabled people accessible rooms available. 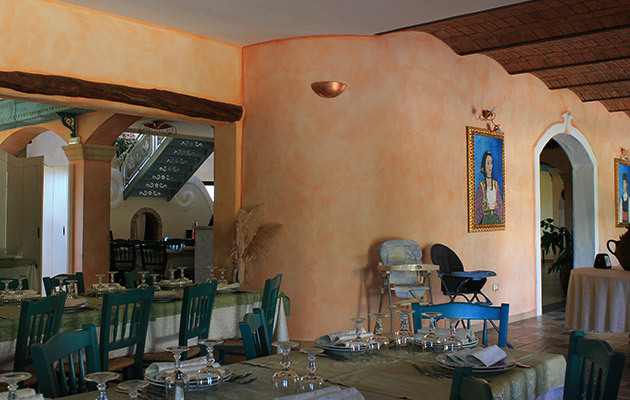 The hotel has its own restaurant with an elegant indoor dining room where guests will be treated to meat and vegetables produced on the farm itself. 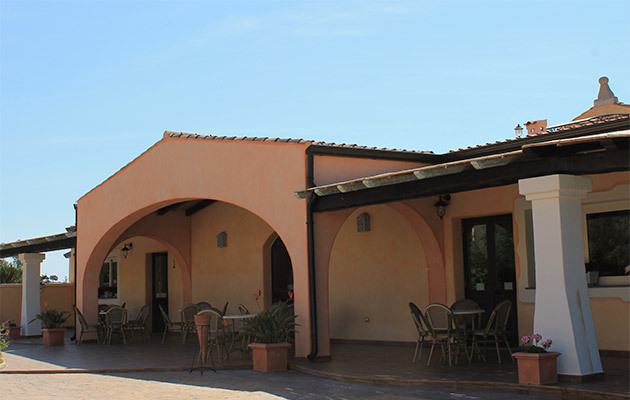 Green Village serves breakfast as well as a dinner menu offering typical local and Italian dishes. 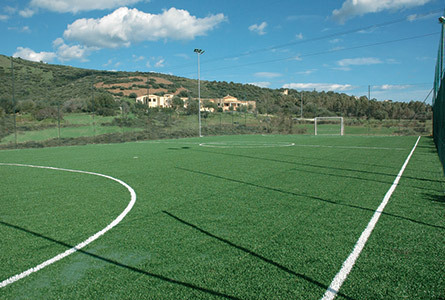 Guests at Green Village can make use of our synthetic five-a-side football pitch and gym. 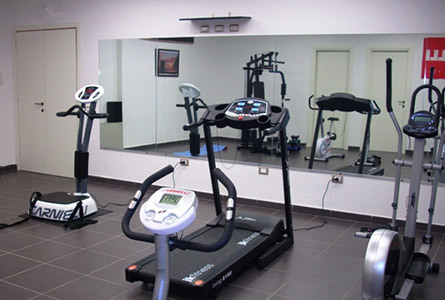 Green Village has a lift and air conditioning in all communal areas. 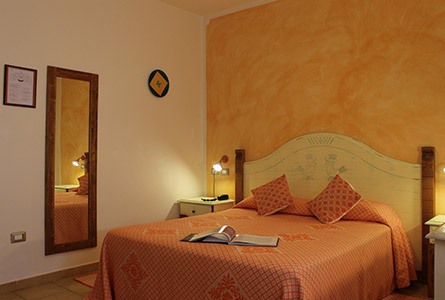 Comfortable rooms on the ground and first floors. 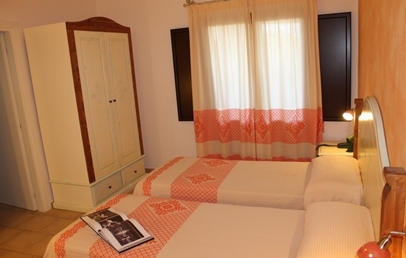 These rooms offer an attractive furnished balcony, telephone, individually controlled air conditioning, TV, mini bar and digital safe. Bathrooms have a shower and hairdryer. 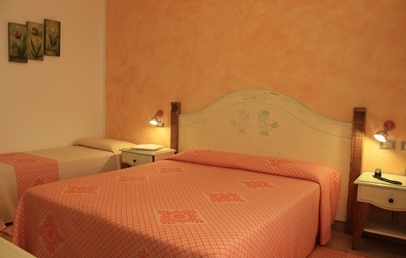 Comfortable rooms on the first floor. 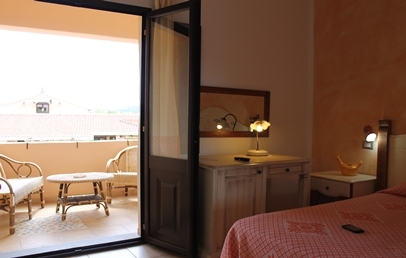 These rooms offer an attractive furnished balcony, telephone, individually controlled air conditioning, TV, mini bar and digital safe. Bathrooms have a shower and hairdryer. 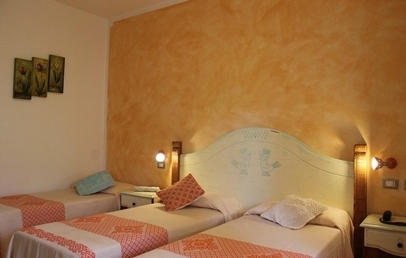 Located on the ground floor, family rooms are made up of two connecting rooms with a shared bathroom (shower and hairdryer) and can accommodate up to 5 people. These rooms offer an attractive furnished balcony, telephone, individually controlled air conditioning, TV, mini bar and digital safe.